Last week I discussed potential methods of connecting your PC or laptop to your television.Such an easy project has many potential rewards such as being able to play your games on a massive screen or avoiding the need to burn your downloaded movies to disc before playing them.While we covered the potential methods of connecting the video output (if you missed last week you can catch up at www.computerarticles.co.uk), you do of course also need to connect the sound. 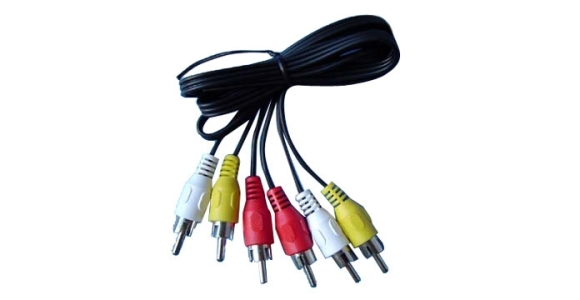 This is the most common audio input present on a TV or any other piece of sound equipment.Signals are sent over two cables (stereo) and although the sound quality won’t impress most sound aficionados, it would be sufficient for most home users.Ordinarily when connecting in this fashion you would require a 3.5mm headphone jack to plug in to your PC (usually this is a green coloured port) which would then link to the phono sockets (red and white) on the back of your TV.These usually cost only a couple of pounds and of course, do get in contact if you need one. All PC’s have the aforementioned analog output but for true sound quality as well as the potential for surround sound you really should be connecting digitally.A Coaxial Digital Output uses a female RCA connector which is ordinarily either yellow or orange in appearance and usually marked ‘SPDIF Out’ or ‘Digital Out’.If connecting by this method you would be more likely to be connecting to a surround sound system so check for a similar connection and if present then you need to purchase a RCA SPDIF Coaxial cable which usually retail for around a fiver. Currently considered to be the holy grail of audio connectivity, the unfortunately named ‘TOSLINK’ standard transfers the audio digitally using pulses of light sent down a fibre optic cable.Originally designed by Toshiba (TOShiba-LINK) way back in 1983 the standard has become increasingly popular and you should find the connection on even relatively low end PC sound cards.Identifying whether your equipment can support an optical connection is incredibly easy as the sockets ordinarily have a protective plastic plug covering them which when removed reveals a beam of red light.Asides from the obvious step of confirming your PC is compatible, remember to look for the reciprocating input on your hi-fi or surround sound system rather than your TV as any connection found on the television is likely to be output only.The cables are in most cases incredibly cheap and you should be able to pick one up for around a fiver however do take care of them because the optical fibre can be damaged if bent too tightly.